High-speed optical communication has emerged as a necessary requisite for high-end calculator in real-time. Their presence in harsh, demanding environments has become the new paradigm. In 2015, TechwaY pioneered the TigerFMC - a FMC card for high-bandwidth optical communication based on SAMTEC FireFly technology. Two years from then, TigerFMC is the flagship product of our FMC range, used by Defense and Avionic key players in the global market. Capitalizing on this success, TechwaY goes beyond the state-of-the-art FMC technology with the new WildcatFMC series. These new communication boards are dedicated to markets where customers have strong environmental and high-bandwidth data-management requirements. Based on D-Lightsys® technology from Radiall, the WildcatFMC range draws on the FMC and the new FMC+ standard. 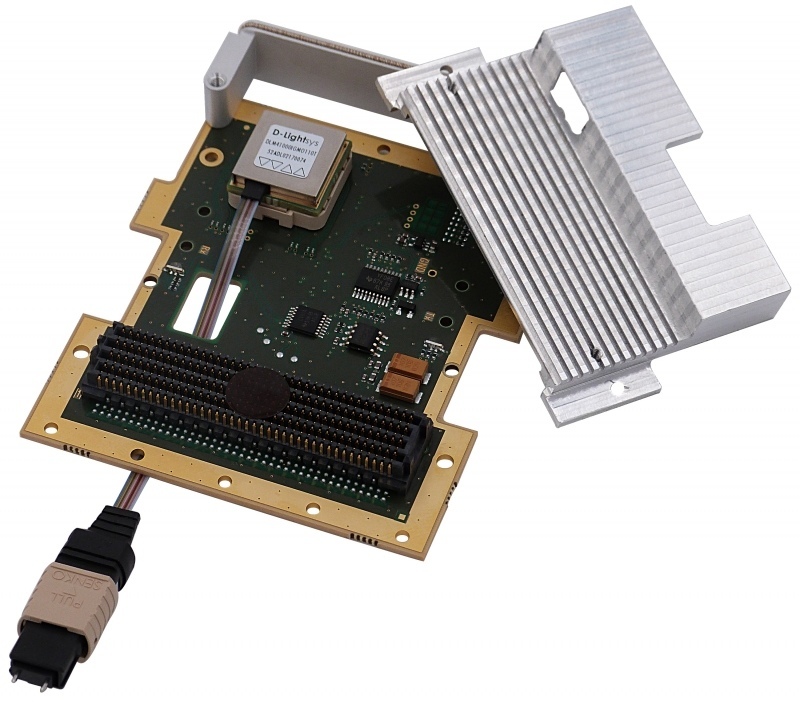 It features three configurations: WildcatFMC_4x4 - 4 full duplex channels @ 10 Gbps, VITA 57.1 card. WildcatFMC_10x10 - 10 full duplex channels @ 10 Gbps, VITA 57.1 card. WildcatFMC_12x12 - 12 full duplex channels @ 12 Gbps, VITA 57.4 card. Thanks to the VITA FMC and FMC+ compliance, our mezzanines can easily be integrated in existing system or in brand-new architecture. WildcatFMC series is compatible with both air and conduction cooled environment.